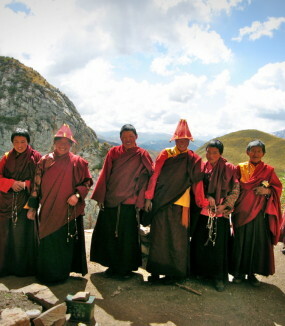 Capping a decade-long effort, plans are now underway to complete and launch the shedra—monastic college—over the coming summer and fall at Surmang Dutsi Til monastery in eastern Tibet. 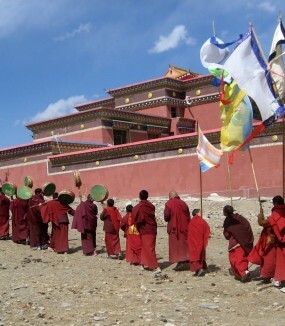 We offer a modest amount of support each year to Surmang Nunnery and its educational programs for children—managed by the nephew of Chögyam Trungpa Rinpoche. 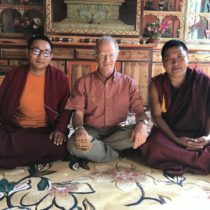 Our pilgrimage to Surmang Monastery in August 2018 was a challenging and enriching adventure. All of us felt blessed with an experience of intimacy with the place and people of Surmang even without the Shedra consecration.